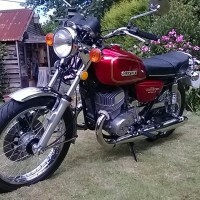 Restored 1974 Suzuki GT750 Motorcycle. 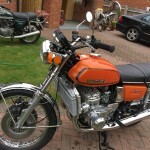 This GT750 was comprehensively restored by its owner. 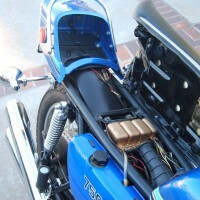 The engine was professionally restored. All of the chrome parts were re-plated. 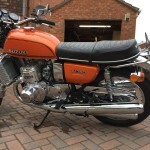 A new genuine Suzuki seat was fitted. 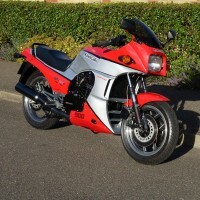 New Suzuki shock absorbers were fitted. 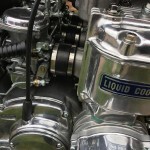 The ignition and steering lock were replaced. A new gear display was installed. 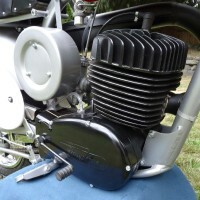 Stainless steel bolts were used throughout. 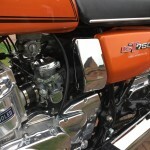 New tank badges were fitted. 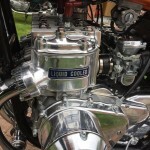 The wheels were rebuilt with stainless steel spokes. The brake callipers were refurbished. 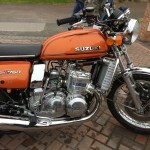 A beautiful restored Suzuki GT750 Motorcycle. 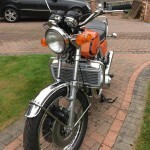 Suzuki GT750 – 1974 For Sale or Wanted? 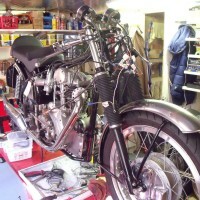 Spares and Parts for your Suzuki GT750 – 1974? 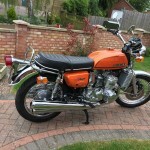 Workshop Manual for your Suzuki GT750 – 1974?